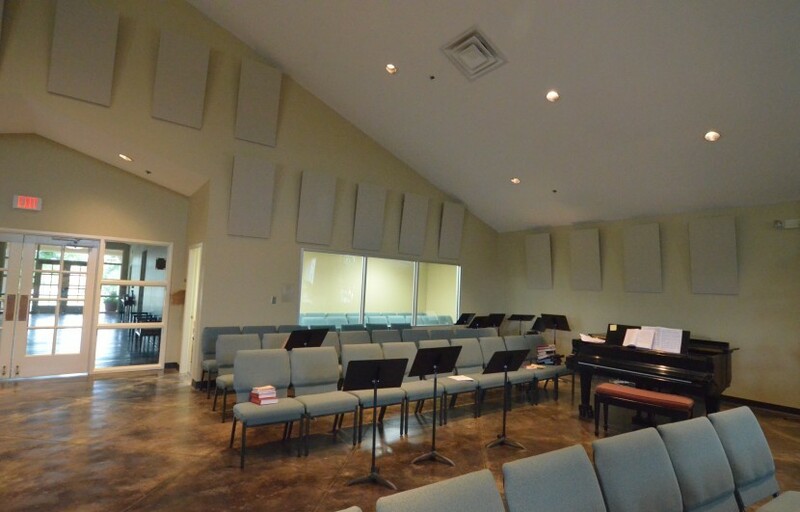 Learn how to compare acoustical products! MORE ACOUSTICS / LESS MONEY!!! 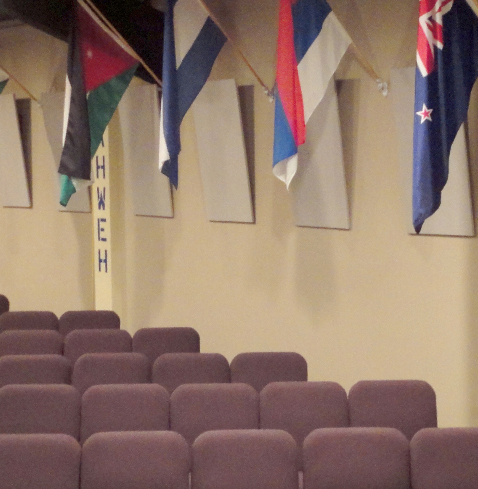 We have two different and distinct products utilizing the “Black Hole Acoustics”™ Mounting System. Our number one product is our down sloping units that work with our own “Best in the World” absorbers. 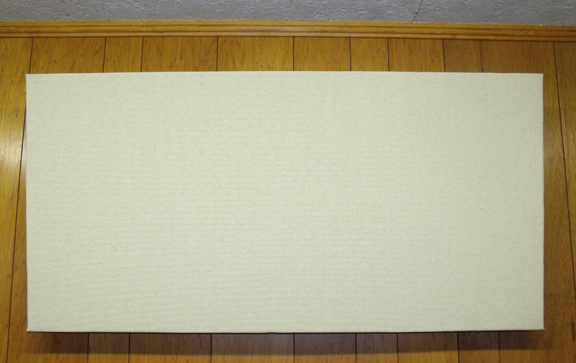 Secondly, we have a ceiling version our “Best in the World” absorbers. The mounts attach to a common sheet rock ceiling easily. 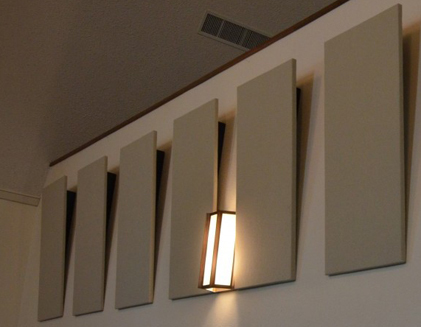 The ceiling units have the same scientific, proprietary slope that delivers DOUBLE the over all NRC and up to SEVEN times the low frequency absorption of other products when mounted in any corner as a Bass Trap. How well do they work as Bass Traps? Just look at the absorption chart to see real independent laboratory tests that prove it’s many times greater than any competitive product. Remember, it takes both thickness and mass working together to absorb low frequency energy effectively. Carpet has mass but no thickness. 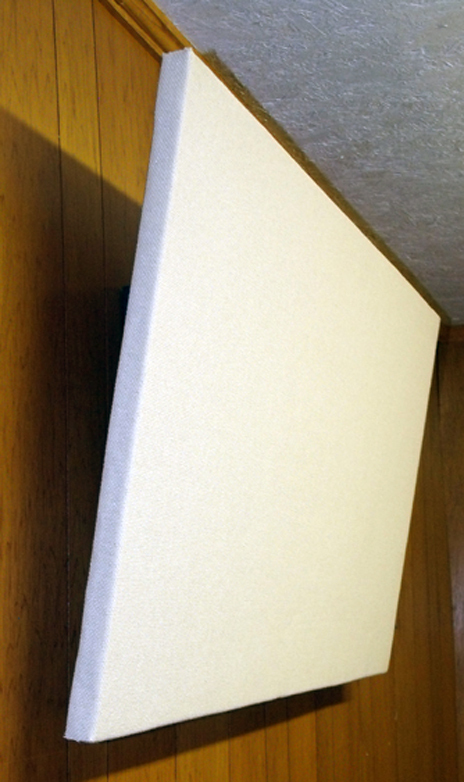 Shaped foam products can be purchased in thicker cuts, even triangular cuts to fit in corners, but they have no mass to speak of. 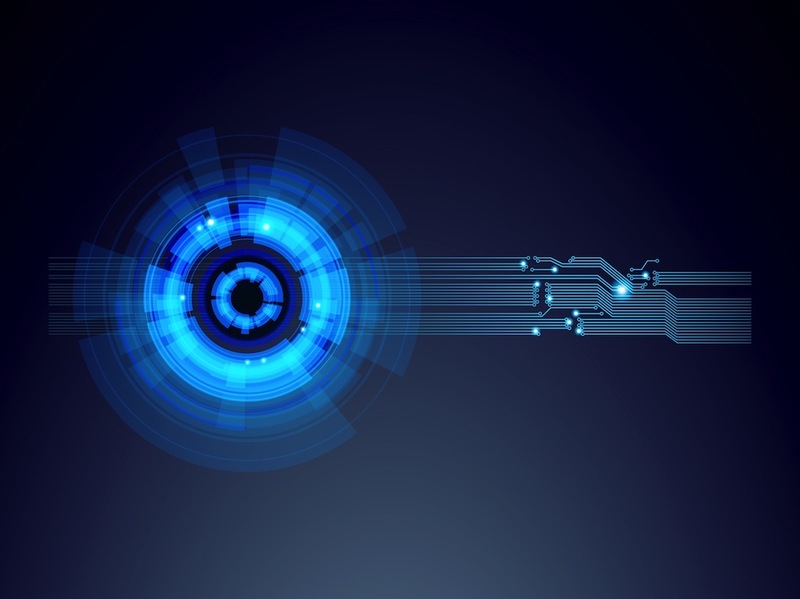 TWO to SEVEN times better than any thing on the market at the most critical frequencies! the room at the time. For more, on this see the installation and instruction page. 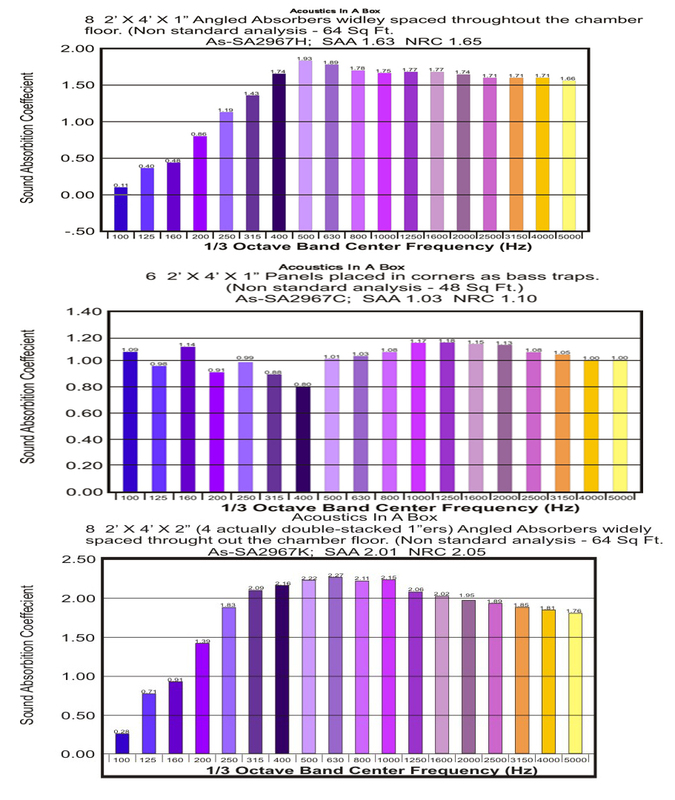 more overall absorption for a NRC 2.05. 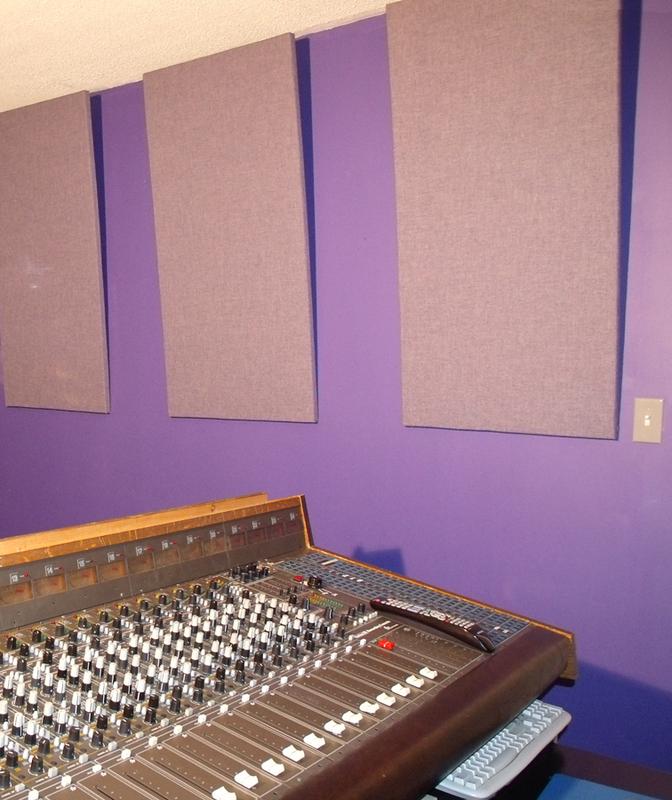 Everything here is the same as with the wall system EXCEPT the "Black Hole Acoustics"™ mounting system except it is a mount that can slope vertical left to right or right to left interchangeably as well horizontal which creates a 2' x 4' wall to ceiling bass trap. This creates a new looking wall mount that can slope the panels towards the platform or stage on both sides of the room, OR you can simply mount them in any corner as a Bass Trap. How well do they Bass Trap? Just look at the absorption chart to see real independent laboratory tests. Remember it takes both thickness and mass working together to absorb low frequency energy effectively. Carpet has mass but no thickness. Carved foam products can be purchased in thicker cuts even triangular cut to fit in corners, but they have no mass to speak of. 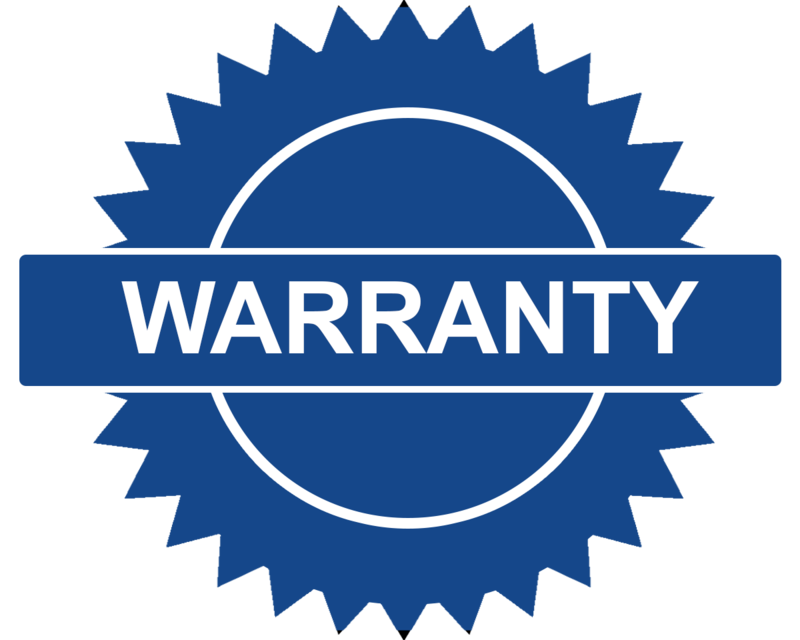 You absolutely can double ANY product by utilizing our mounts, but doubling some products is still not much. So our caution to you is to CHOOSE WISELY! 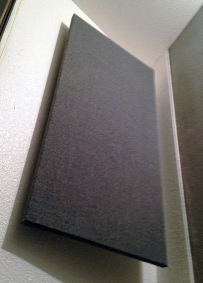 A box contains 8 specially built 2' X 4' x 1" acoustial absorbers, 8 patented "Black Hole Acoustics"tm Mounting Systems, all necessary mounting hardware, mounting instructions and placement suggestions. 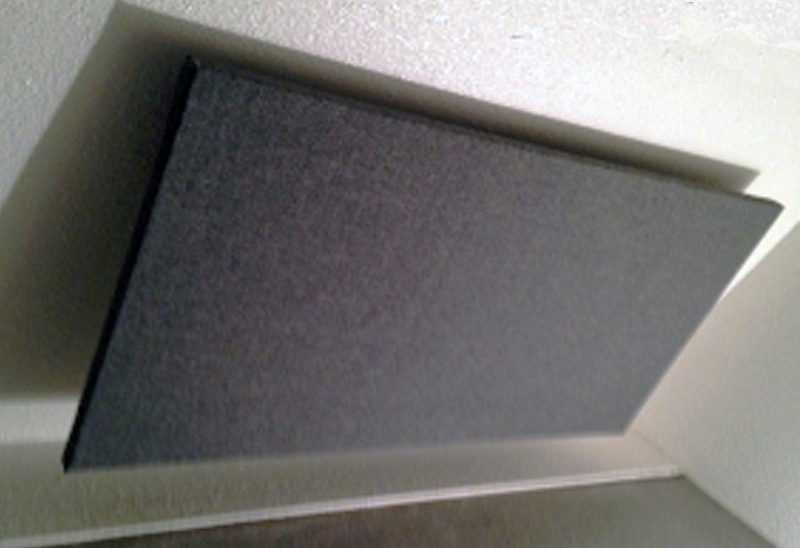 2" thick absorbers can be purchased in a 4 panel kit for extra low end absorption as well as 25% more overall absorption for a NRC 2.05.
standard size 2’ x 4’. 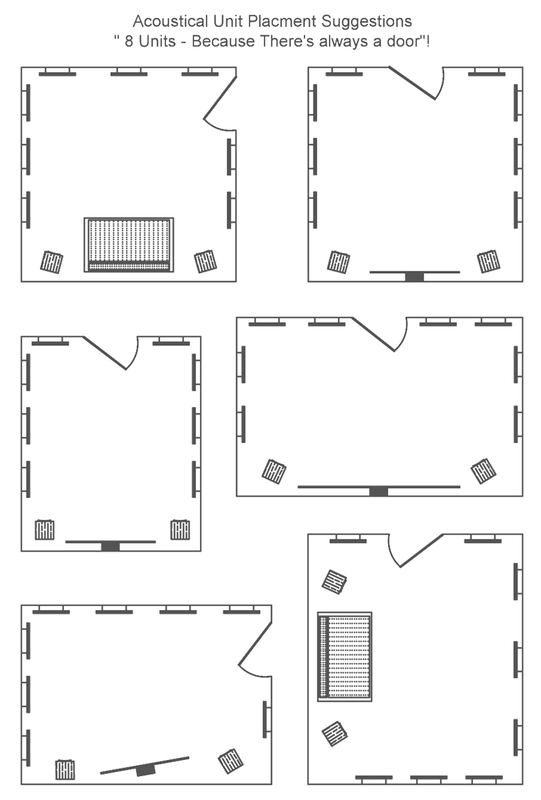 Sloping Ceiling Panels are available in 4'X2'X1" boxes of 8 and 4. 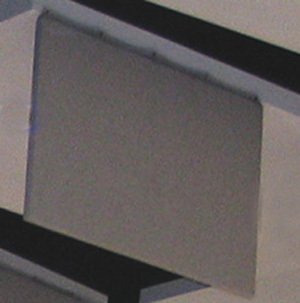 A Box contains the specially built acoustical absorbers, made to mount or hang from ceiling. Mounting instructions and placement suggestions. just above head height in the room. square foot as when they are placed in front of the flat wall sections. boxes for a meeting room sized for 100 persons, and one box more for every 50 persons after that. Remember, it’s the capacity of the room not how many are in it at the time your treating for. longer now that Acoustics in a Box’s “Portable Acoustics System” is here! One Box has one stand and four absorbers. Easily Portable to the Location - Folds out from a small box - Hangs on a high stand - controls a room for a time - then back into the box and back into storage again! 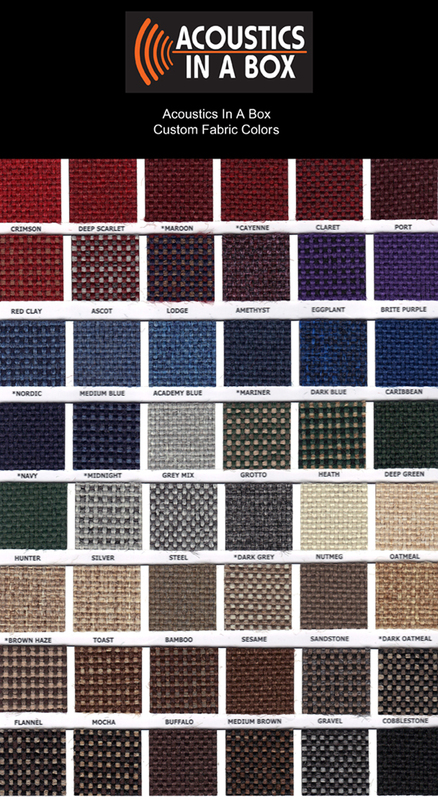 Please keep in mind colors my vary due to monitor color balance and viewing light. Click on image below to view. Right Click to Save. Product Specs. & Installation Info. The lessons are approximately one hour. 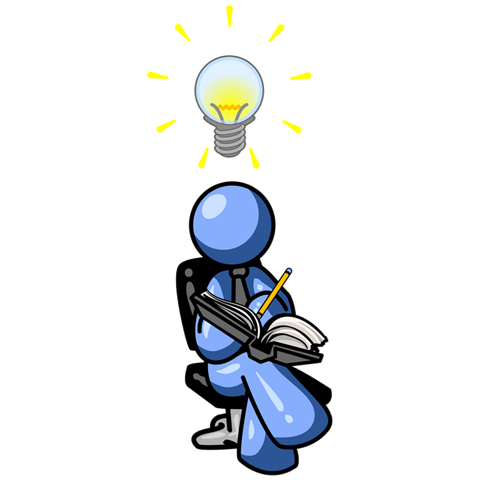 With the busy professional in mind, we have broken the lessons down into ten minute segments. Which allows you to take the course at your convenience. 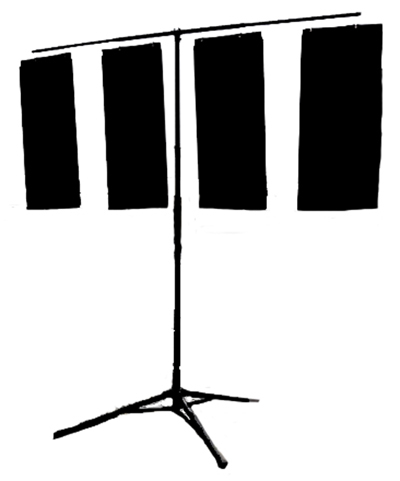 Once you start a lesson you may pick up where you left off until complete. 3 - Acoustics : How much and Where? acoustics you could put in the smallest amount of shipping and/or shelf space. analog era are the same old flat panels and carved foam used today. you can get the job done right and know what to expect in the end result.